This Hradil camera cable can be used both in portable inspection systems such as the MAXIMA Plus and color TV inspection system FS7535C as well as in installations of RICO systems in longer lengths. 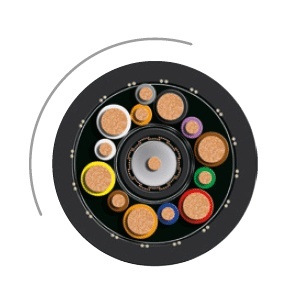 The 9.9 mm thick Hradil camera cable is suitable for multi-wire systems from RICO and can be used, for example in inspection systems such as the MAXIMA Plus or color TV inspection system FS7535C. Driving trucks such as the VARIA, FW150MD or FW 100MD can be controlled via this multi-wire cable. 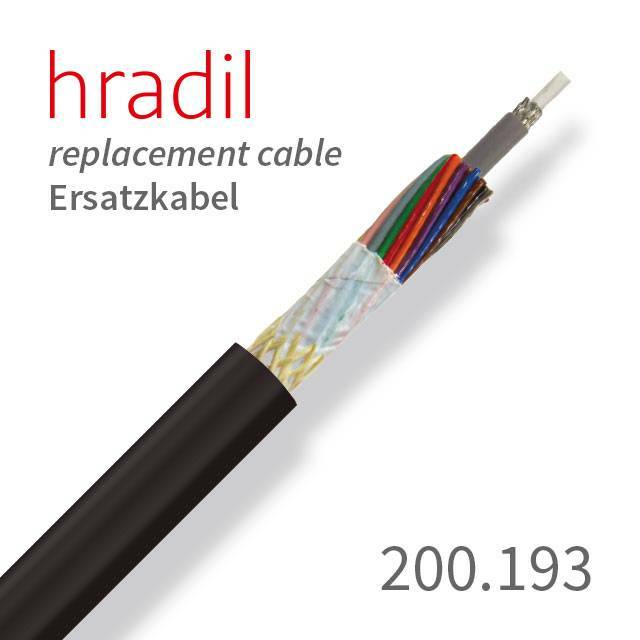 The Hradil camera cable is designed with a total of 13 wires plus a coax cable for high mechanical loads and a long lifespan, well protected by a Vectra braid and covered by a PUR sheath with a special TPU mixture. Even if damage to the outer shell occures, only a maximum of 1% Moisture will be absorbed by the use of Vectran. This increases the lifetime compared to camera cables with a Cevlar braid (up to 7% moisture absorption) significantly.